With a great menu of crisp salads, sandwiches, hearty burgers and delicious wraps, it's the only outdoor restaurant on Main Street - the perfect place to enjoy a beautiful day. Accommodates large groups for dinner by reservation. 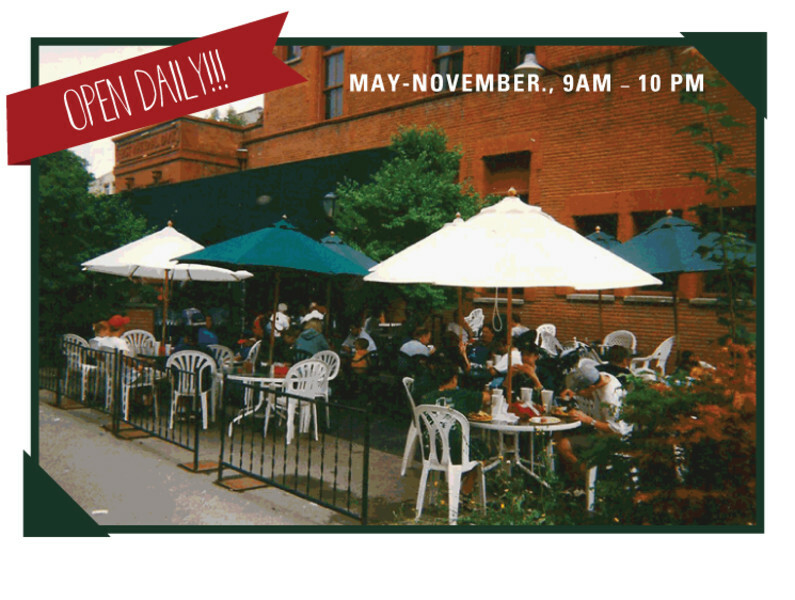 Open daily from May through November, 9:00 a.m. - 10:00 p.m.